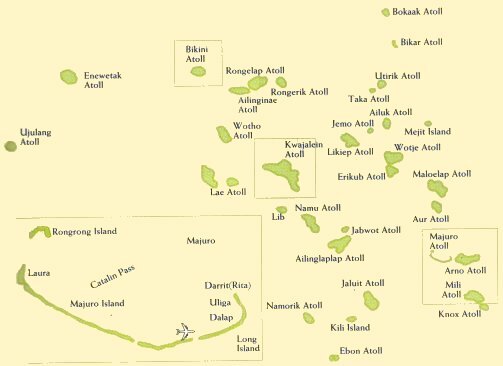 When living in an archipelago of multiple isolated nodes, linking routes are far more relevant than specific sites. 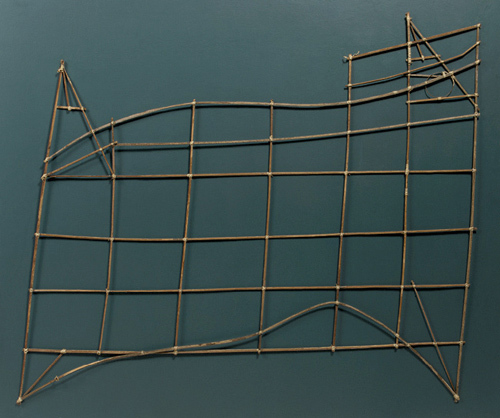 Tiny islands can be reduced to dots, and seaways become virtual lines. The actual movement of the ocean is what eventually determines mobility. 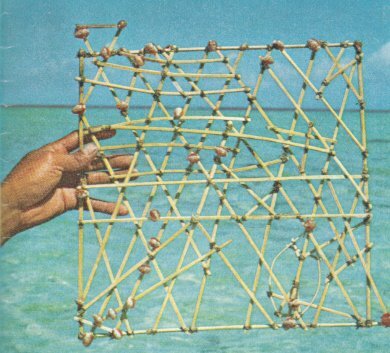 Invented as an everyday tool to commute between Marshall Islands, Stick Charts are maps representing islands, swells and currents. The whole archipelago unity is conceived from navigating parameters. Islands, more than places, are modifiers of water flows, making the ocean dodge their footprint; swells and counter-swells. Therefore, vessels need to know them, in order to sail with or against. 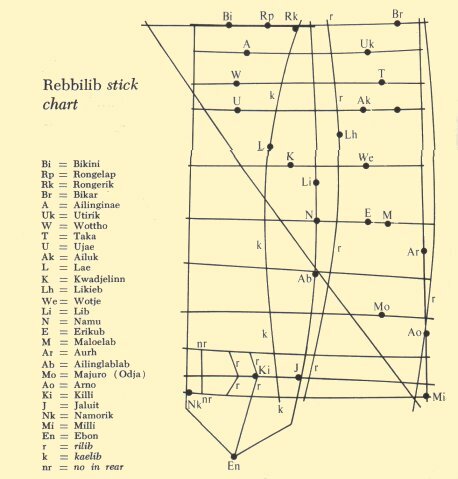 Rilib, Kaelib, Bungdockerik, Bungdockeing; for junior sailors (Mattang) or for seniors (Meddo). 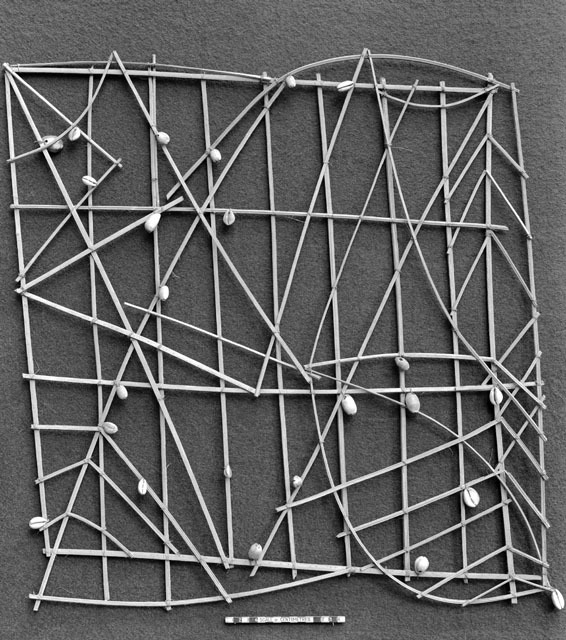 Stick charts visualize these disruptions of flow patterns by means of curved palm ribs tied with coconut fiber; little shells locating islands are attached to them. However, Marshall maps of flows are not to be taken with. Locals were used to memorize them before departure, avoiding constant consultation while navigating.